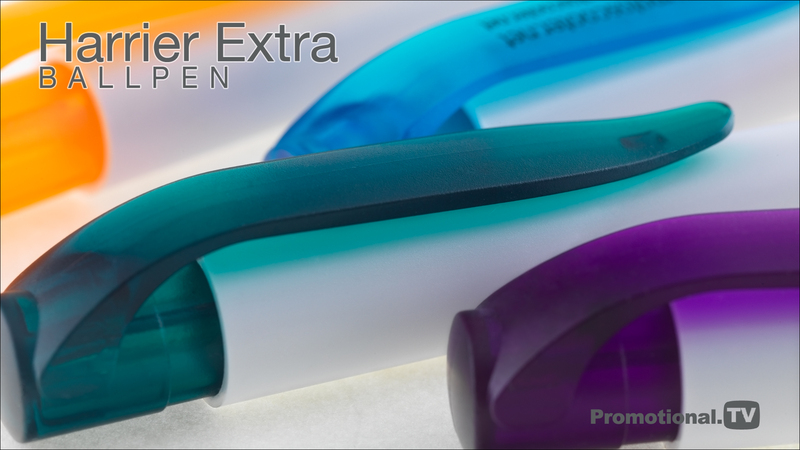 With its satin white barrel and large range of contrasting coloured clips the Harrier Extra Ball Pen is ideal where the main advertising message or logo needs to be displayed on a neutral white background. It has universal appeal because of its low price point and large colour range. It is fully compliant with current safety regulations; comes with a black refill containing documental quality ink, and is available on a 24 hour express service at no extra cost to you. The Harrier Extra operates on a push-button mechanism and has generous print areas on the barrel and clip. allowing us to offer printing in up to 6 colours matched to your requirements. This popular pen is also available in matching propelling pencil that can be supplied individually or as a set. Also available is a range of optional presentation packaging, including high visibility pen pots to display at your next corporate event.